We found four bulls at first light. 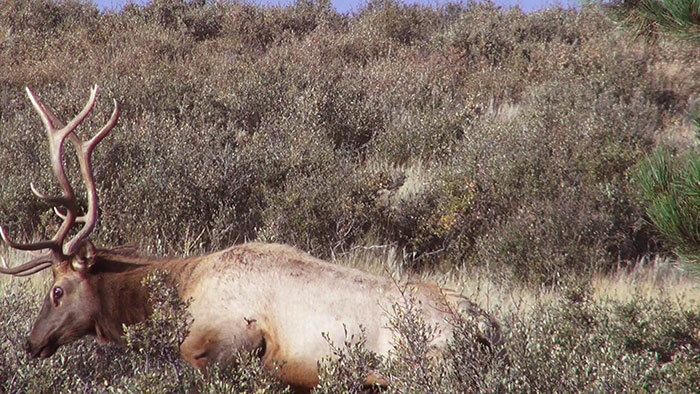 They were heading to the area where I killed my big bull in 2010. We drove up to the top and watch them but we didn't even get that far. A really good 300+ 6pt was bedded next to a cow 500 yards from us. Above him was a 6pt with his right beam snapped off. 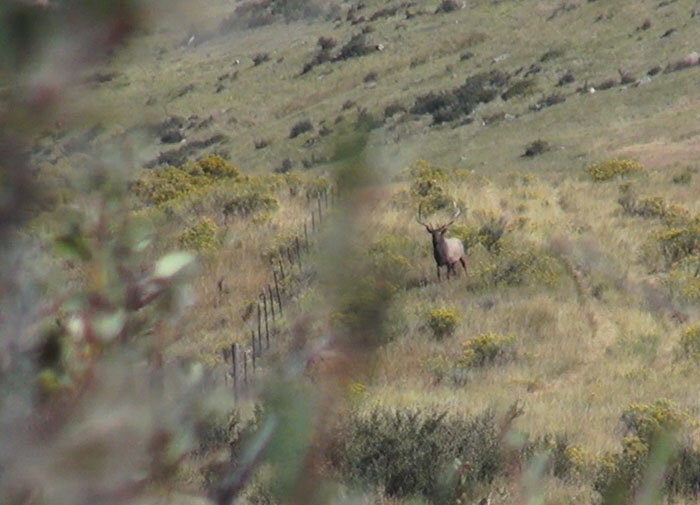 This bull was fired up, he would run up the hill when the broken 6x6 made any move. The wind was questionable so we held back to see what happened. 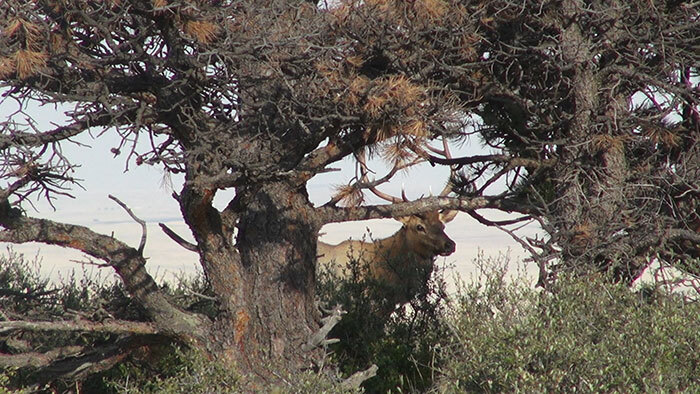 While we were watching the big 6pt, we heard another bugle in the opposite direction. He was another good bull, probably 280 and he was screaming his head off. Then our bull started screaming back at him and the broken bull at the top even let out a chuckle. 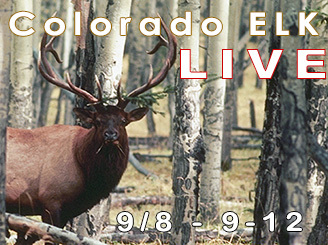 The elk are fired up! It was going to happen this morning - we could feel it. Wes was conflicted. We had fired up bulls in two directions. We had a group of bulls bedded to the South, and we had a very difficult wind that was blowing in 270 degrees of directions at any given time. The smart move is always play it safe with the wind, but we are on day 4 and playing it safe has not worked out well for us. We discussed the options and we made the call to go for it. It was the wrong decision. 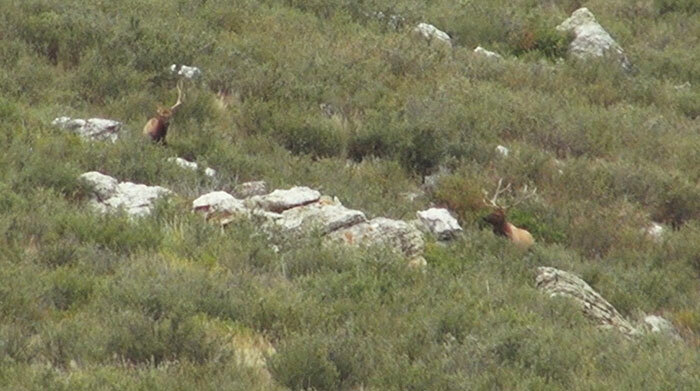 We didn't get 200 yards from these elk before the wind switched and blew out the broken-horned bull, the 6x6, and a cow. While we watched them blow out, the other bull to the East kept screaming. And the wind was primarily East. The problem was, he was a half mile away on the neighbor. We didn't think we had any shot at all but the wind was less risky for this setup and he was responding to almost every cow call and bugle Wes threw at him to gauge his interest. We decided to give him a shot, but it was a long, long shot. We dropped down close to the border fence and I took a position 75 yards in front of Wes and slightly downwind. Wes began calling. If I didn't see it with my own eyes, I would never have believed it. Wes cow-called that bull to within 100 yards of me. He was coming in on string and it was going to happen. When we first set up the wind was from the east, then it switched to the west. But just as the bull came into shooting range it shifted from the south and bull's nose went up in the air. I shook my head - it was over. We both watched the bull run deep into the neighbor's ground. This wind has been killing us all week. Completely unstable. 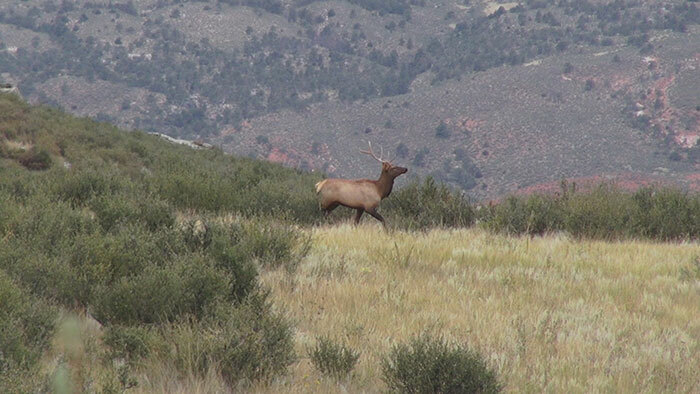 Good news is we have elk all over the place and they are fired up! Wes and I joined up with Jason Whitaker from Whitaker Brothers Hunting Company and went right back to that hillside to find the bulls we bedded this morning. Wes was very confident and I always trust his instincts. We headed up to the top of the cliffs where we saw the first group of bulls before dawn. Wes and Jason went up the hill and when they returned they confirmed the bulls were still there. It was on! We picked our way carefully, playing the wind the entire time. As we closed the distance we went into stealth mode. Wes wanted to get right into their bedroom and after 30 minutes of carefully placing each step we were there. 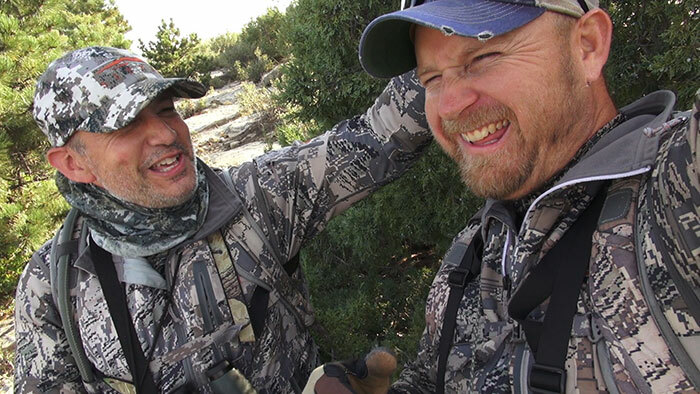 Wes made the first cow call which signaled Jason Whitaker who was 70 yards behind us. It took a long time but suddenly Wes says - Bull coming by the dead tree. The bull was a nice 5pt and perfectly acceptable to me. He came in close, less than 20 yards away and I had to draw in plain sight. That spooked the bull but Wes successfully stopped him with a cow call. Unfortunately, when he stopped his vitals were blocked by a pine branch. The bull trotted away and Wes stopped him again. I figured him for 25 yards but he was probably 30. When I released, I knew immediately my shot was excellent. We watched the bull run uphill before he stumbled and eventually fell over. This was my 15th elk hunt and my 2nd bull ever! We were all pretty happy. The bull came in on a string and this was my first elk killed by calling. 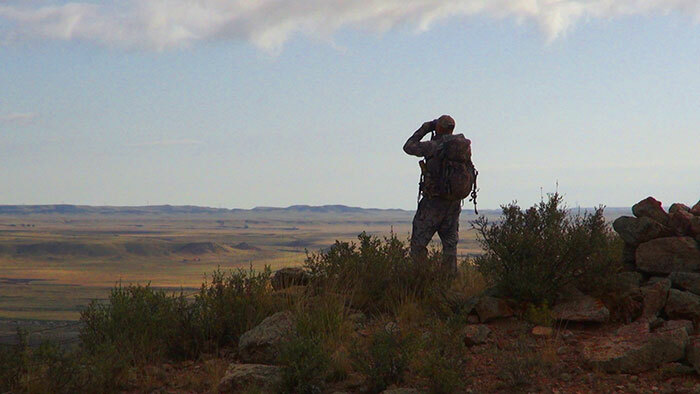 It was also a little sad too, Wes is leaving the business and this was his very last time guiding an elk hunt. It was a great ending for my friend and a fitting finale to his incredible career. 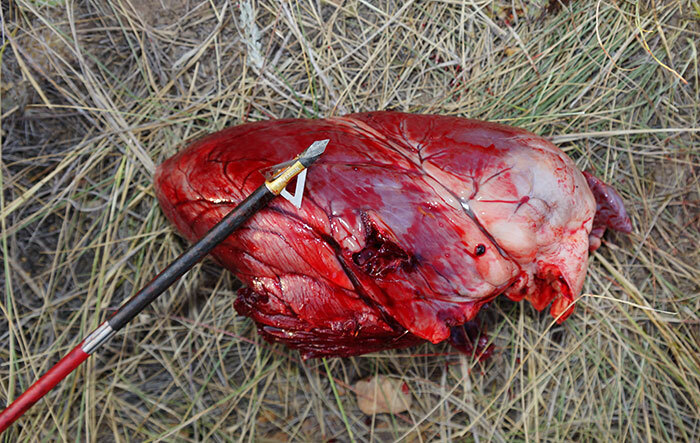 Jason field dressed my bull and we confirmed what I had suspected - I had center-punched the heart with my Muzzy MX-3 Broadhead. 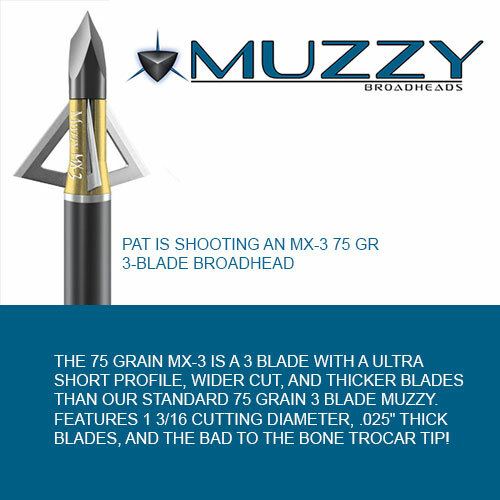 I've not used a Muzzy 3-blade in a long time but this head along with my Maxima Red Arrows shot exceptionally well from my Mathews No Cam. The bull never had a chance. Don't tune out yet. 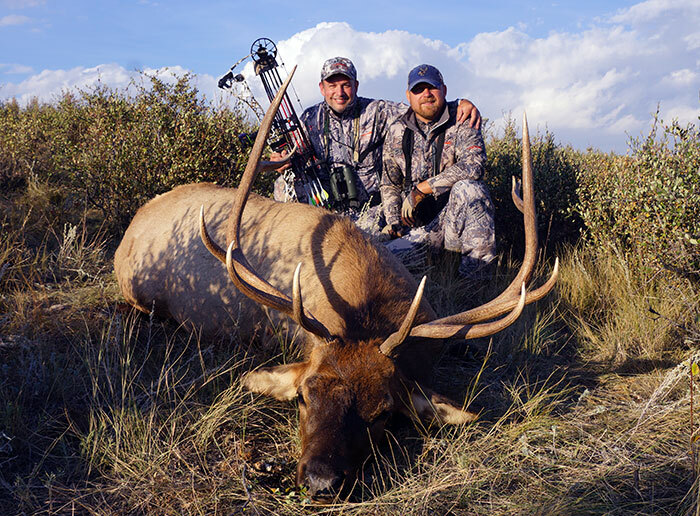 We have one day left and we're hoping to put my tag on one of these big Colorado Muleys! We are getting out early and will be spending the entire day focused on finding a mule deer.